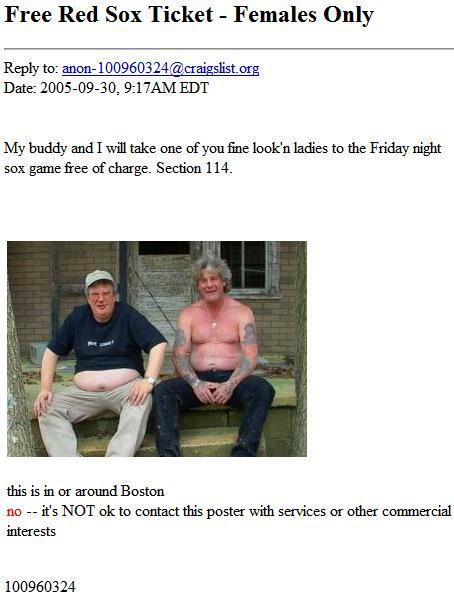 Anyone for a Sox Game? ~ by kinshay on 2005-09-30. I have to know, who out there thinks these guys live in the area, please also share why you think so or not. I figure this is just a fake photo but I bet you guys can do some detective work :-). This entry was posted on 2005-09-30 at 09:22 and is filed under Uncategorized.You can follow any responses to this entry through the RSS 2.0 feed.Both comments and pings are currently closed.